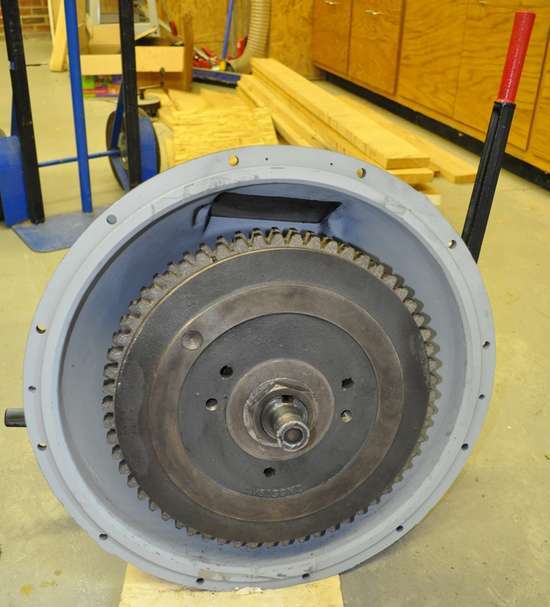 My Cummins is an SAE 1 with a 14" clutch so for twin disc, the bell housing is an SP214 (two clutches, 14" diameter). 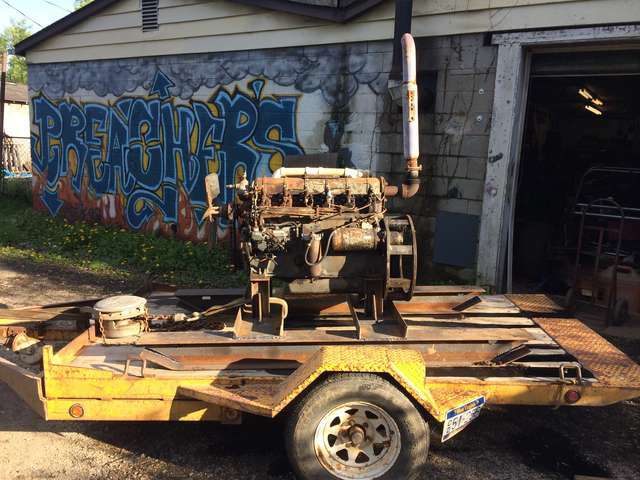 I targeted a double clutch due to my engine being 190Hp and happened to find one in a salvage yard that I could rebuild. Next thing you need to establish whether it will need a pilot or not. 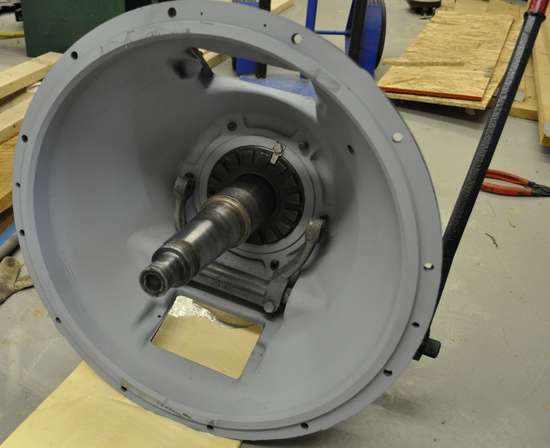 Mine does not have a pilot but the drive sheave is in between the bell housing and an external bearing stand. 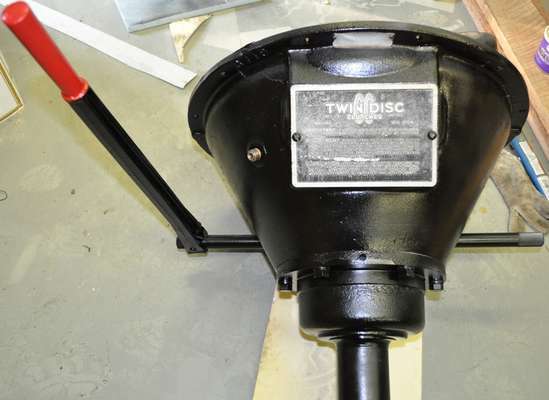 Someone may correct me if I am wrong but I believe if you don't have an external bearing stand, you have to have a pilot since the bell housing itself is not designed to house 2 bearings. Make sure when you get the PTO you get the appropriate drive ring for it as well. I rebuilt my PTO with new bearings and clutches. All of that stuff is available. I posted this picture for ya. This should help on the posting pictures part. I like to go to whatever post or start a new topic first to include a picture.Go to your gallery,it will open in a new window.Click onto your album,then click onto whatever picture you want,it will get bigger,than scroll down a little to find,Insert Image In Post,click onto that,click Yes and that is it. Some have to copy/paste the link to work.I like to hit the enter key at least once or twice to move the picture down away from what I am typing. The enter key really helps to leave some white space if posting more than one picture or posting a comment. Use the preview button to see how it looks and modify it if needed. I built the skid and it is mostly complete. I have to finish the battery tray and figure out what to do about the radiator, put some belting in between the skid and motor. The fuel pump was modified to use an electric fuel pump (one of the valves were removed). I ordered a fuel pump kit from Kroves oliver parts. 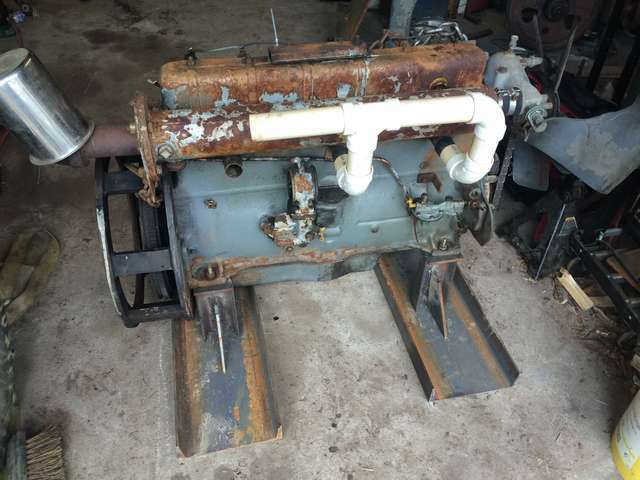 (this motor was used in oliver tractors) they sent the wrong kit (I have not heard this thing run as of yet )I have to talk to them today so see how to get the correct one. 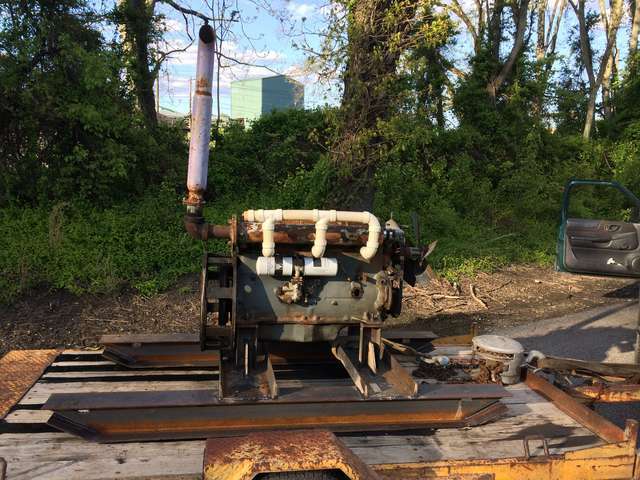 Circle Mill Powerplant Motor Cradle ??????? Page created in 1.062 seconds with 35 queries.